The number of Iraqis poisoned by polluted drinking water in Basra is nearing 100,000, with officials failing to tackle a weeks-long crisis. The city of Basra was often dubbed "Venice of the Middle East" for its vibrant canals. Today, it is suffering because its freshwater lifeline, the Shatt-al-Arab river that runs through it, is polluted. Furthermore, low levels of water and the rise of salty water intrusions from the Persian Gulf are threatening the lives of the more than 2.5 million inhabitants of Iraq’s second city. 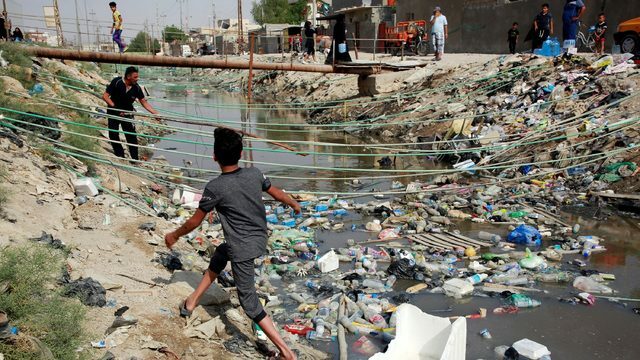 According to statistics from the Health Directorate, Basra’s water pollution is staggering: chemical contamination stands at 100% and the bacterial pollution at 50% (Al-Mirbad, 2018). In the period between August 2018 to November 2018, up to 100,000 people were hospitalized due to water-related illnesses, while thousands protested in the street over a lack of drinkable water. 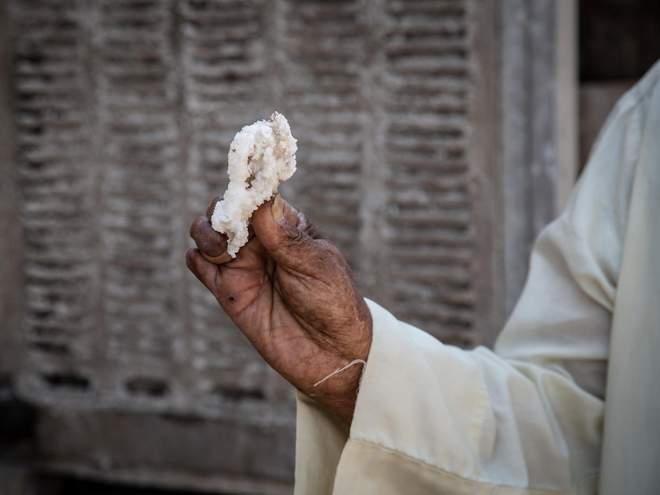 Videos, recorded by locals, showed water from the Shatt al-Arab river turned black by pollution or caked with salt. Basra gets its water from the Shatt al-Arab, the waterway formed by the juncture of the Euphrates and Tigris. Increase in saline water, decline in water levels in rivers, and increase in chemical and biological contaminants in the Shatt al-Arab from sewage and industrial waste, exacerbated with lack of proper water treatment plants, have led to the current crisis (Al Monitor, 2018; Almirbad, 2018). In spite of the country’s oil wealth and foreign investment (https://www.indexmundi.com/facts/iraq/foreign-direct-investment), many water treatment plants that should be producing potable water were not built (or upgraded) to deal with the high salt levels. This, together with the poor management of upstream urban sewage, agricultural and industrial effluents that end up in the river, has been responsible for the increased water contamination. There is an ongoing legal investigation into why thirteen desalination plants have not been working since their completion in 2006 (Reuters, 2018; Royal Institute of International Affairs, 2018). In addition to the lack of safe water, Basra suffers from constant power cuts, a stagnant economy, poor health services, unemployment, an agriculture sector devastated by drought, and widespread corruption, which further hinder fast reactive measures (The National, 2018; The independent, 2018). Hospitals are struggling to keep up with the influx of patients. Statistics compiled by the Provincial Health Directorate for Aug. 12-28 2018 revealed close to 2,000 cases each day throughout the province. Those affected are suffering from colic, diarrhea and poisoning due to water contamination (Mustafa Saadoun, Al Monitor, 2018). The overwhelming number of patients hospitalized led to lack of medicine and services to assist and treat patients (The Iraqi Observatory for Human Rights, 2018). - The Basra Governor Asaad al-Eidani, on behalf of the residents, asserted that the water network is too old and hasn’t been upgraded in 30 years. Moreover, it overlaps with the sewage networks, which are also old and whose water flows into the Shatt al-Arab. Eidani has repeatedly claimed that he is powerless to fulfill the demands of protests since the government is refusing to release funds needed to carry out the tasks. He also said that the forming of a new government in Baghdad, which has been ongoing since elections in May 2018, has put the brakes on new money coming in (Middle East Eye, 2018). He met with a delegation from South Korean company Daewoo Engineering & Construction to discuss bids from the company to solve the province’s water crisis (Video link in references; The Baghdad Post, 2018). - Basra residents and activists from the province posted videos on YouTube of water from a residential water pipe which shows clearly polluted water and containing unidentified insects (see references hereafter for the different videos). In summary, the videos show worms running through water and water running out of pipes that is black or brown, and clearly unfit for any use (Al Jazeera, 2018). - Hundreds of residents stormed the Basra Health Directorate to protest the poor health services provided to those made ill, but response has been slow (The National, 2018). On 17 October 2018, a civil society Fact-Finding Team revealed serious human rights violations against citizens in Basra for their participation in this past summer’s protests. These findings correspond with Iraq’s High Commission for Human Rights, which found that between 1 August and 7 September, 20 people were killed, 492 people were injured (including 80 members of the security forces), and another 425 people were arrested for participating in the protests (Save The Tigris, 2018). Development of Alternatives The Iraqi Red Crescent Society has stepped up to provide desalination and purification systems in Basra. As of 10 September, 2018, the Iraqi Red Crescent teams have started installing four stations with a production capacity of 8,000 litres per hour. They plan to include additional stations with the support of the International Committee of the Red Cross (IFRC, 2018). A recent fact-finding mission to Basra by the Norwegian Refugee Council (NRC, 2018), recommends that donor governments support the development of a framework that supports more equitable water sharing (between Turkey, Syria, Iran, and Iraq, countries that exploits the Euphrates and Tigris Rivers). It is in the interests of those who share the rivers to work on it together as an urgent diplomatic necessity. Cleaning up and enabling ecological regeneration will take a comprehensive effort and integrated action plan involving all the states concerned. Why? Explain briefly. The Iraqi health minister downplayed the number of affected health cases to around 1500 restraining therefore the severity of the situation and the expected mobilization (see video in references). To cope with the water contamination, residents were buying bottled water for their drinking water. While this was the only safe alternative, it was not always available, and often not affordable. Without urgent cooperative action, over-exploitation of rivers by the countries that share them will destabilize the entire region.